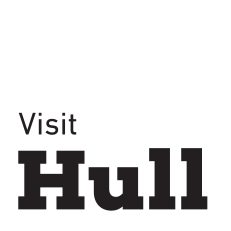 With the days getting longer and warmer, now’s the time of year where it starts to get that bit more tempting to step outside your front door and explore what’s going on in Hull. It’s the annual Hull Real Ale and Cider Festival at Hull Minster. This year sees more than 135 real ales, plus 30 ciders and perries. There will also be food stalls and live acoustic music. Make sure you don’t leave it too late to go for a tipple though, as once the ale runs out, that’s it! Another week, and yet another exhibition is opening in Humber Street Gallery. This week it’s the turn of Athena Papadopoulos’ A Tittle-Tattle-Tell-a-Tale Heart. It’s her first major institutional presentation in the UK. Using her recent two-part novel as a point of departure, Papadopoulos creates a narrative that combines the use of free-standing sculpture, sound installation, costume and performance. It’s panto season again! Ohhh no it isn’t, ohhh yes it is! For one night only at the Bonus Arena, stars such as Bobby Davro and Dani Harmer will be retelling the story of the boy that didn’t grow up, Peter Pan. In the late 1800s Emily Clapham opened a dress-making salon in Hull. She built a reputation for being a fine dress-maker with a very successful business – and even went on to make dresses for royalty! Take inspiration from the Madame Clapham costume collection at the Hands on History Museum before designing and decorating your own fashion drawing. Delve into Hull’s dark history (if you are brave enough) at the recently opened Dark History Museum. Actors reveal the city’s dark past telling stories of witchcraft, smugglers and the dreaded gallows.